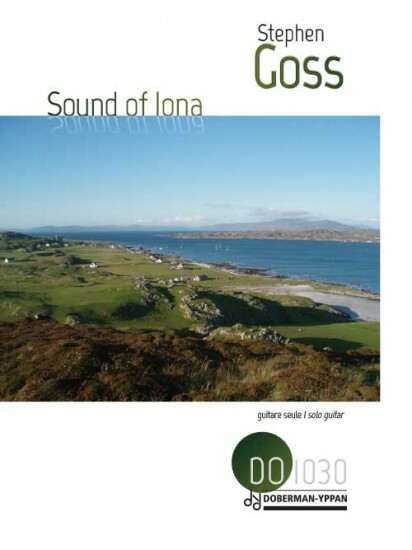 The Sound of Iona is the narrow strip of sea between the Scottish mainland and the Isle of Iona. My piece remembers the few days a year when the northern sun is hot and the water is perfectly still. The music is static and calm. I had in mind two Ondine water pieces: by Debussy (from Préludes, Deuxième Livre) and Ravel (from Gaspard de la nuit). These sources permeate my harmonies, textures, and colours. 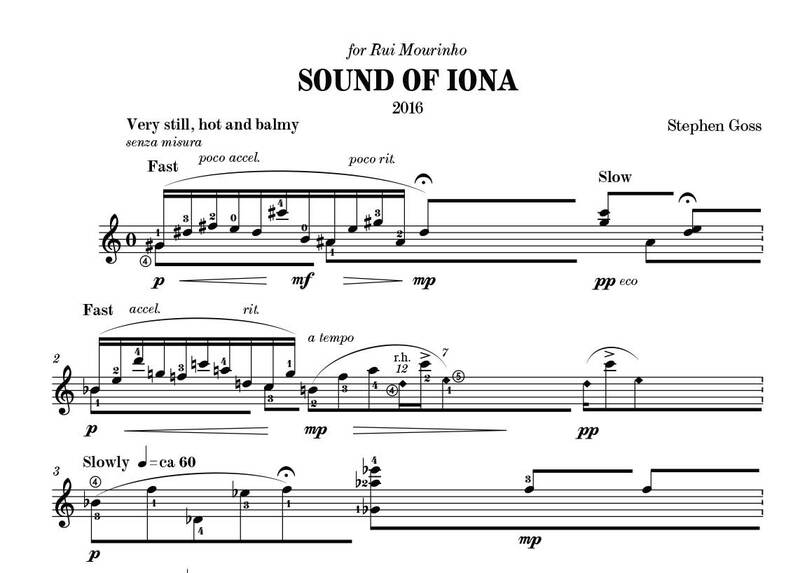 Sound of Iona is adapted from my piano piece of the same name, the first movement of Portraits and Landscapes (2010). Sound of Iona was commissioned by Rui Mourinho, who gave the first performance on 11th June 2016 at the Casa Manuel Teixeira Gomes, Portimão, Portugal. He has recorded the work on Stephen Goss Guitar Works Vol. 1 (Edições Música XXI © 2016).